Aviation Jolina is a private operator based in Montreal CYUL. Safety is of the utmost importance in our flight department. We are looking for an experienced pilot to join our team for the long term, while providing customer service and giving on-time performance it’s due consideration. 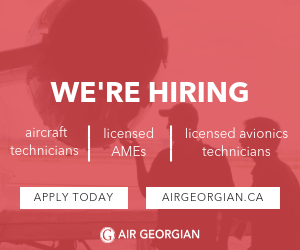 If you are a self-motivated individual, we offer an exciting work environment with opportunities for career advancement within our flight department. This salary is well below market! I don’t know if I should be laughing at the absurdity of the salary offered or cry for the profession. Is Aviation Jolina associated and/or owned by the owners of the Global C-GSAP seen in the pictures? Having the wealth sufficient enough to own a 50-60 Million dollar jet, that costs somewhere between 7000-10,000$ an hour to operate. While being willing to put your life in the hands of a pilot whose probably not overly experienced given the willingness to accept that salary. I'm not going to speak in assumptions, I know for a fact there are co-pilots in light jets making more than this. I think they realize they won't get the experience, even on an upper echelon jet like this, so why pay market rate. Ain't that the truth. Hopefully soon these companies and big red can't scrape the bottom of the experience barrel any more and will have to start paying a liveable wage for experience. An Employer gets the Employee they deserve. And this job offer is insulting to the profession. Sorry I don't speak French. Don't most corporate gigs do both pilots qualified and paid as captain? Most Corporate gigs also don’t offer 67k for a global F.O. That’s what I would expect Right seat on an Ultra/Bravo or Similar.